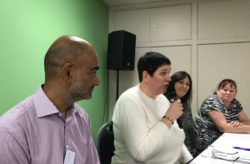 Given the challenges facing our NHS and social care services, Power to Change is exploring the ways that community business can deliver health and social care provision at a local level. This could include community businesses delivering things like nursery services, dementia support groups and mental health support. 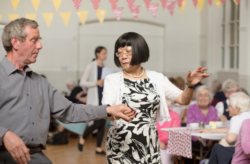 We commissioned New Economics Foundation to produce this research report to shed light on the role community business can play in the delivery of a sustainable social care service. 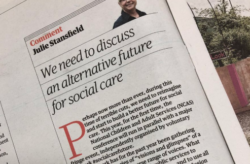 We supported an event from Social Care Future to explore and discuss alternatives to the future of social care. Check out this blog on the event. 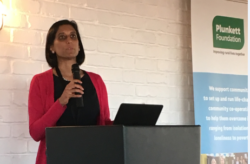 Having sponsored Nesta’s People-Powered Health Conference, our CEO Vidhya Alakeson sums up what it would take for community-led health services to become mainstream. This short report takes a look at the enablers to success for community businesses in the health and wellbeing sector. It was produced by SERIO, an applied research institute at the University of Plymouth. B Inspired in Leicester is a community business working to change Braunstone in Leicester for the better. Health, social care and wellbeing are among the many areas of work B Inspired is involved in. Its work in this area is the topic of this latest blog by its CEO, Angie Wright.